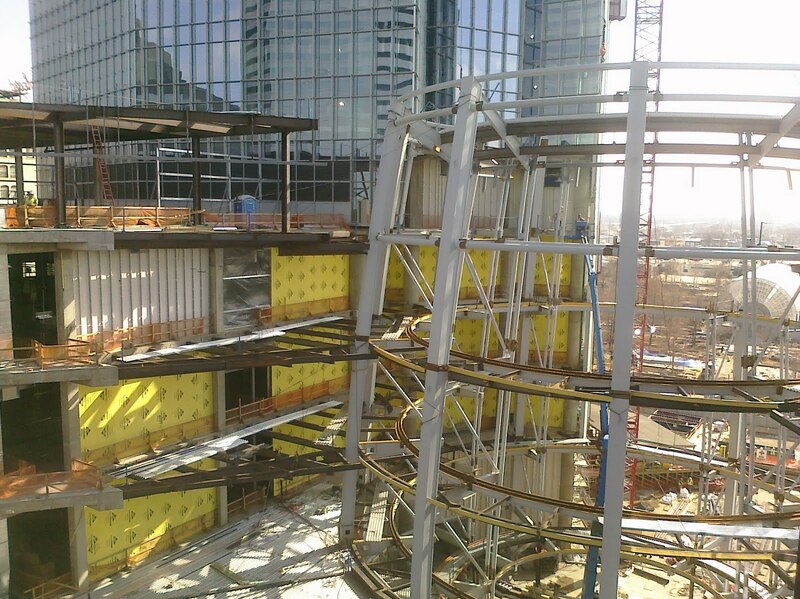 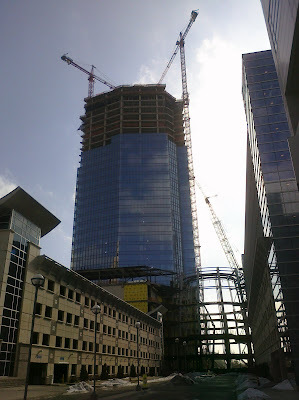 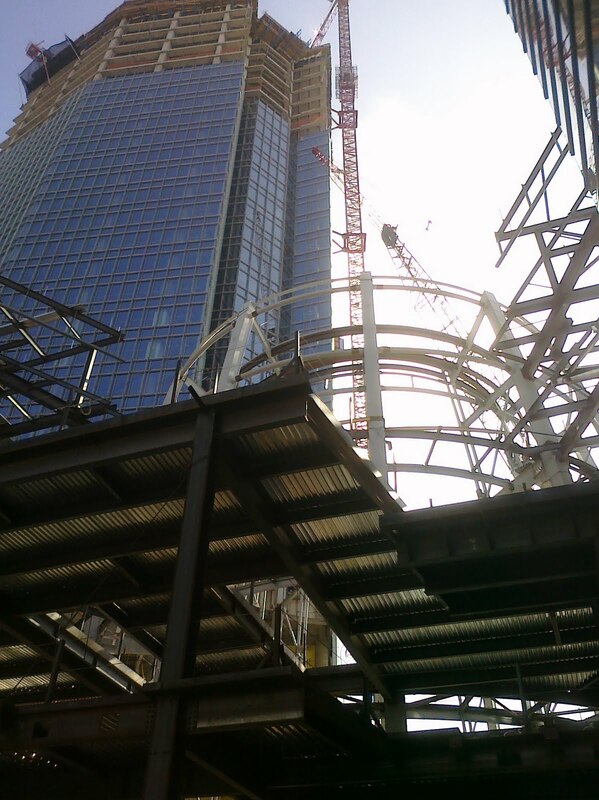 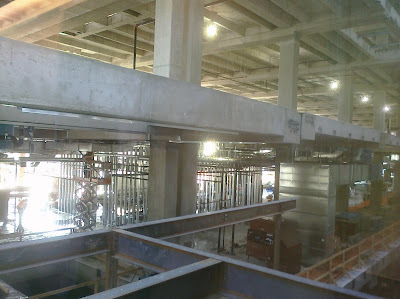 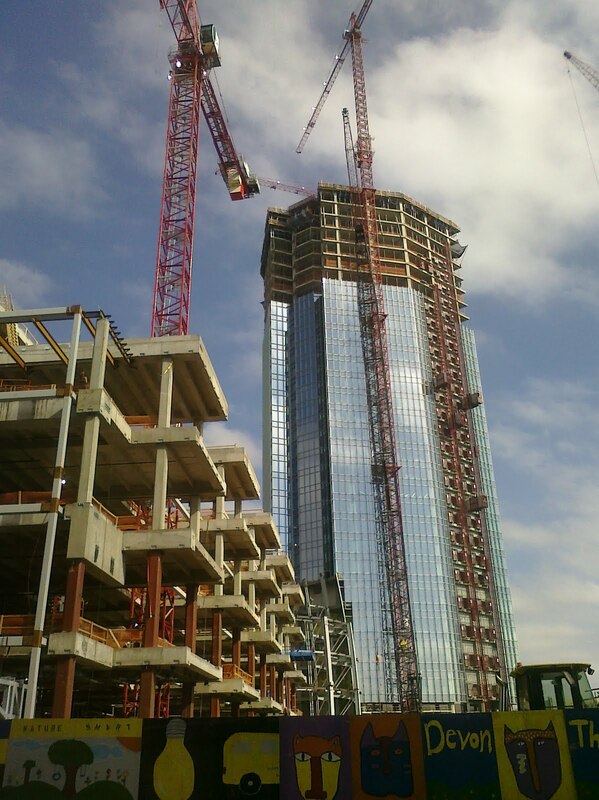 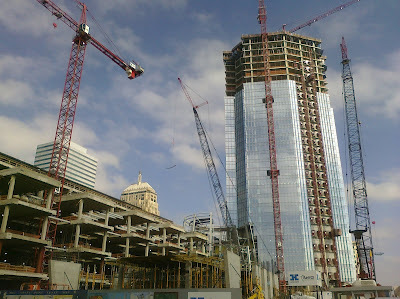 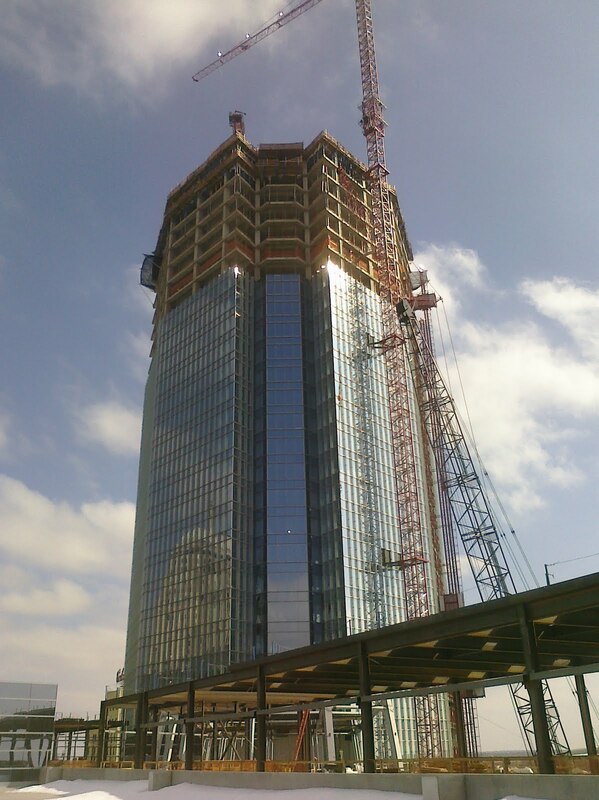 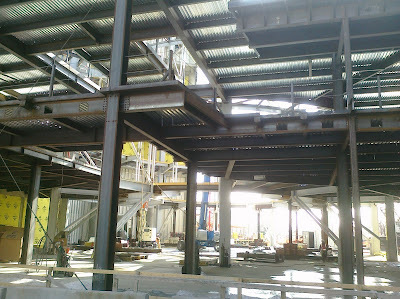 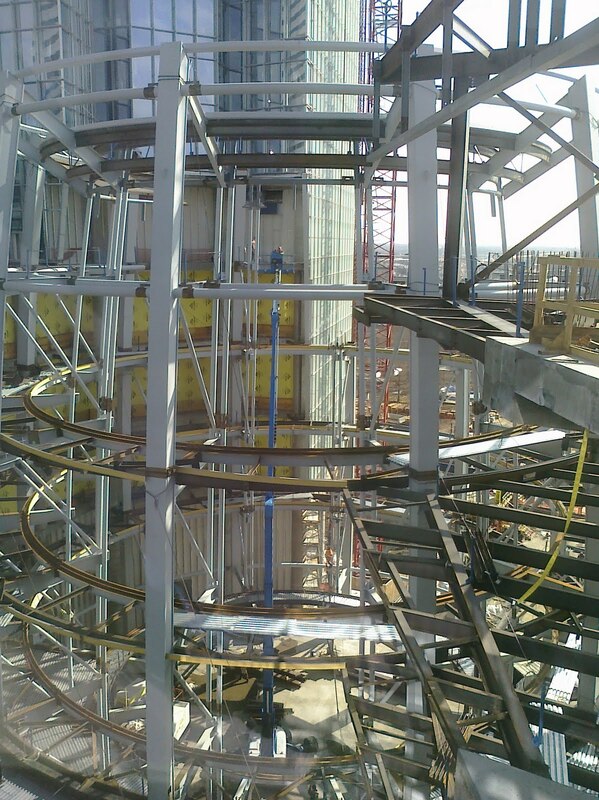 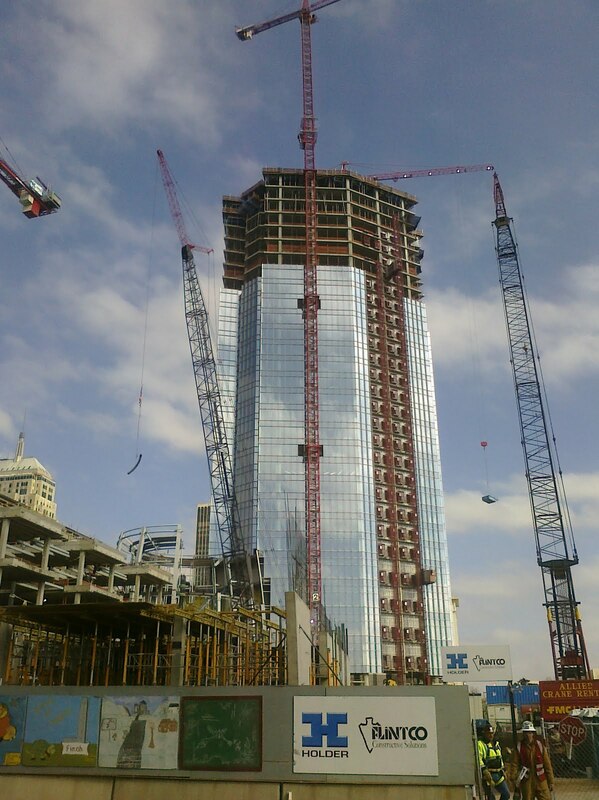 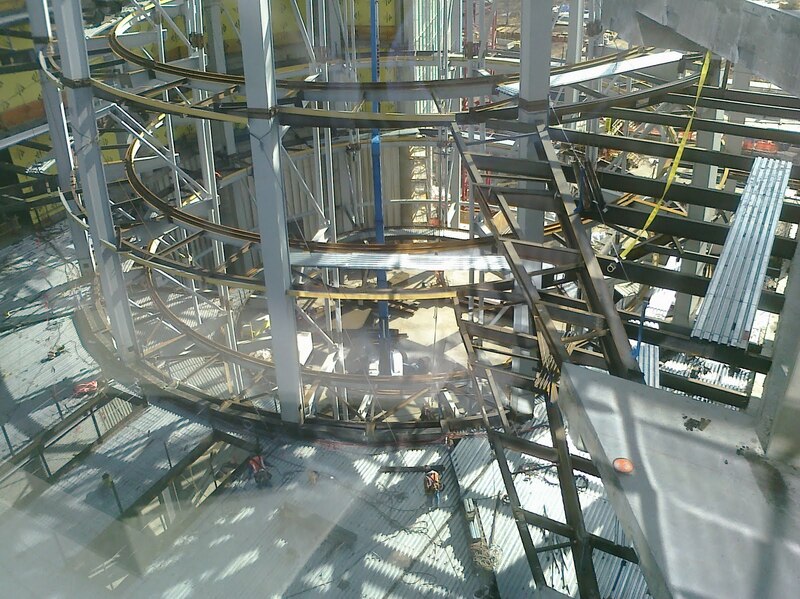 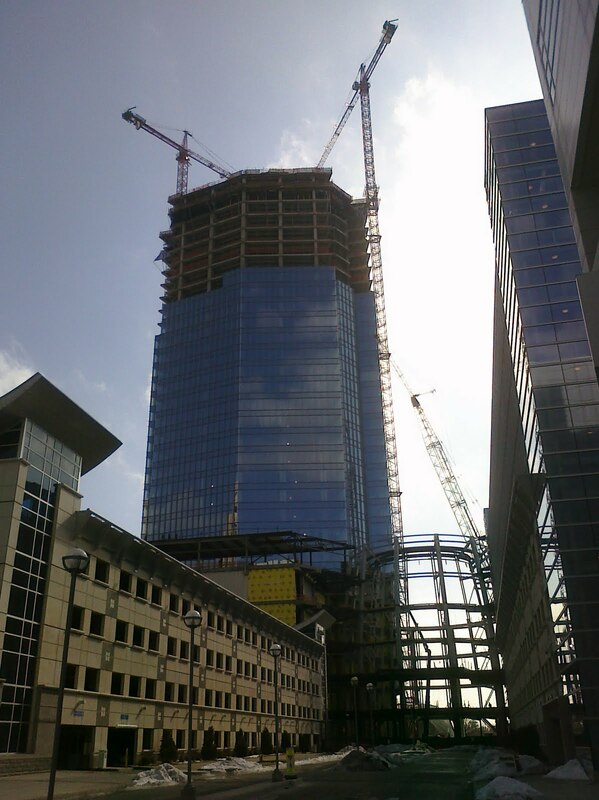 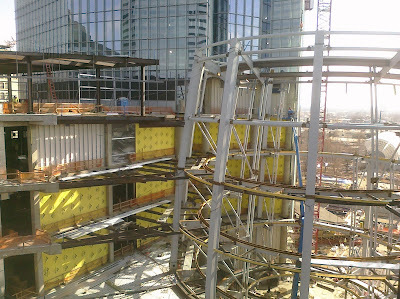 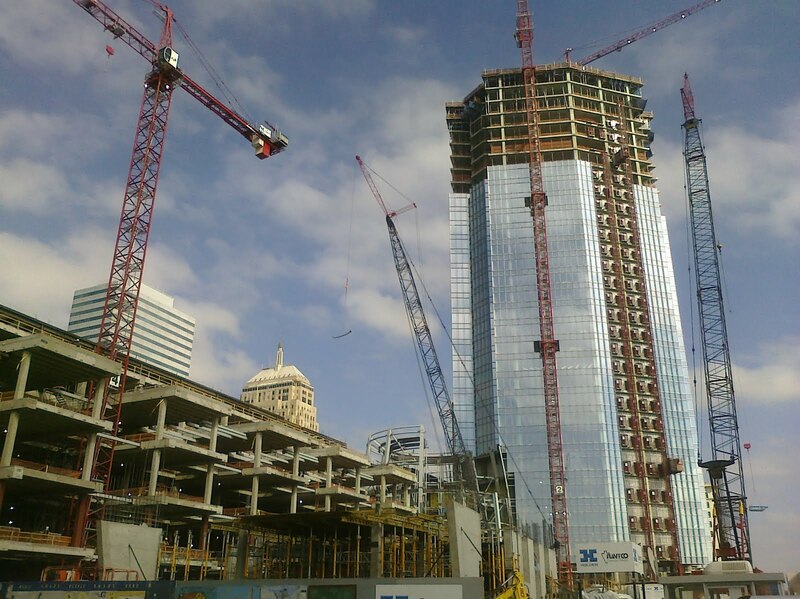 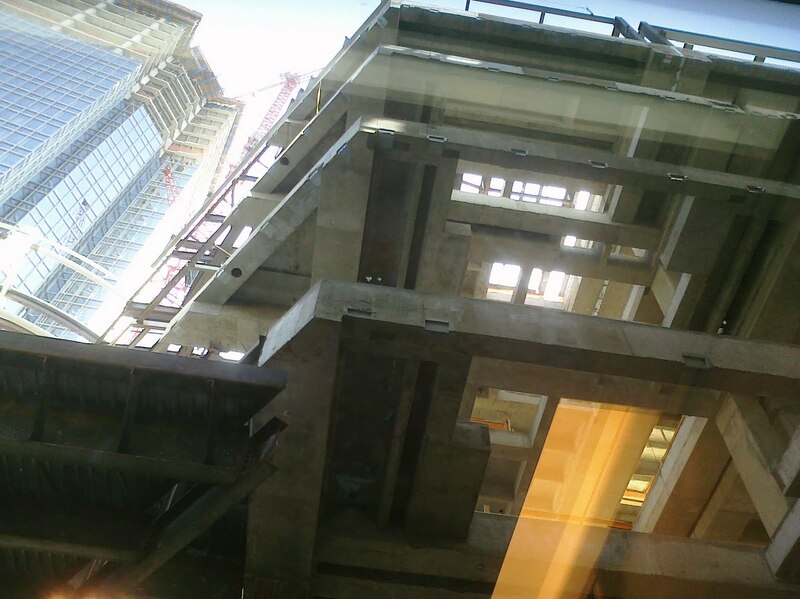 View the progress of construction for the Devon Tower in Oklahoma City, OK. It looks like the Devon Tower is about 30 stories tall now. 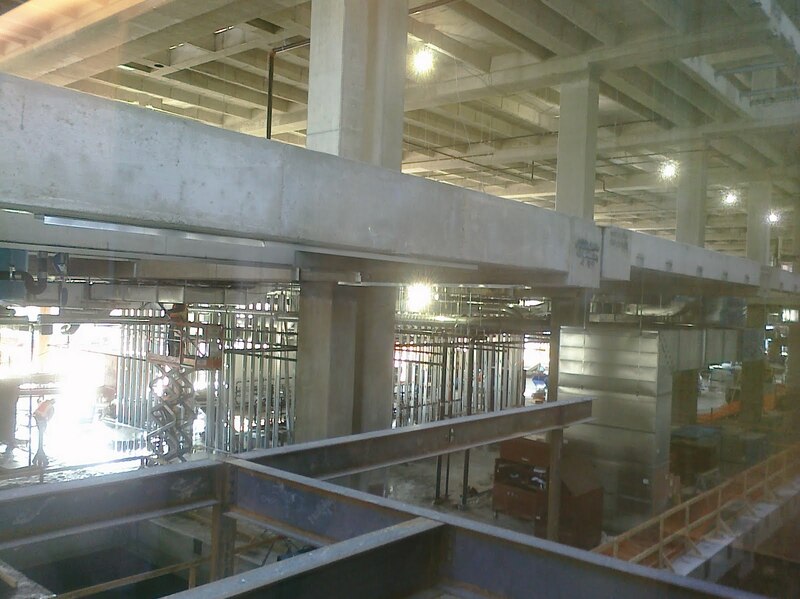 I imagine the Blizzard at the beginning of February added a slight delay in the construction progess. While taking pictures I could see some areas inside the structure that had snow piled up. 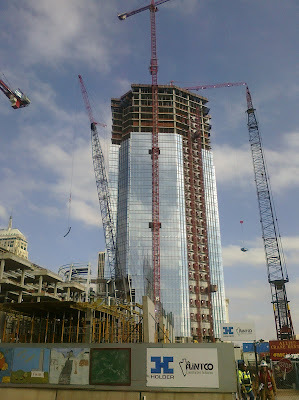 Compared to the Oklahoma Tower, the Devon Tower is probably at least 2-3 floors taller. 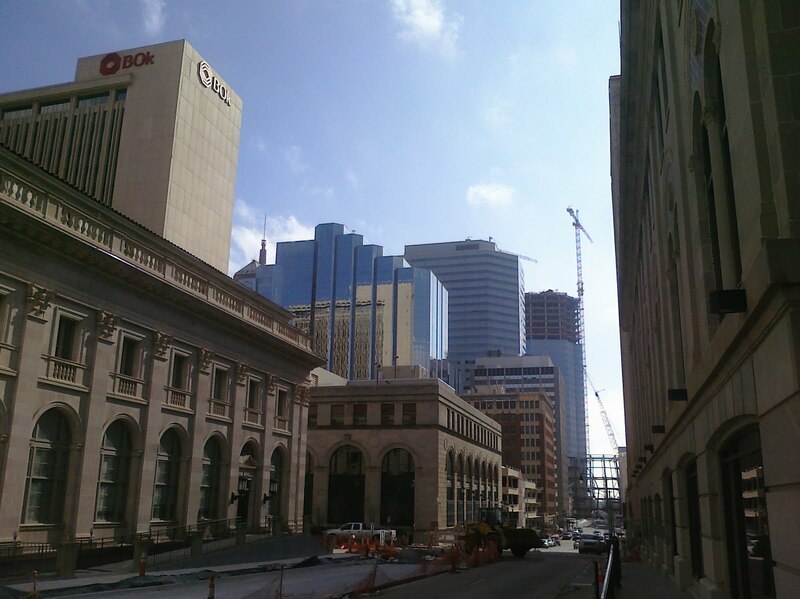 In addition to the tower, the money provided from the TIF, which is being used in Project 180, is really starting to transform the downtown streets.